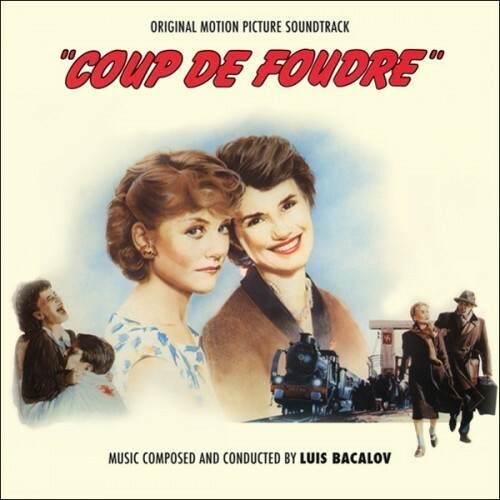 The premiere CD release of this exceptional film score by the Academy Award winning composer Luis Bacalov for the 1983 Diane Kurys-directed French film; a composer’s own favorite. Starring Isabelle Huppert and Miou-Miou, the film tells the story of the intense and rising friendship between a couple of Jewish women after escaping from an internment camp in Nazi-occupied France during WWII. Bacalov’s delicate and beautiful score draws heavily on the Jewish origins of the title characters to articulate a thematically rich score, inspired by the textures and colors of Klezmer music. Clarinet and violin solos add to the mix creating a deep dramatic impact. Carefully restored and mastered by Claudio Fuiano, this release features the same content as the original LP issued by General Music France in 1983 plus eight bonus tracks that make for a complete presentation of the soundtrack. The booklet includes an exclusive interview with Luis Bacalov and liner notes by Gabrielle Lucantonio.